We haven’t done an Artist Insight for a minute, but it’s back and this is a good one. Our latest upcoming R&B maestro to be featured is Gallant, the 21 year-old crooner who is starting to gain considerable, deserved attention for a slew of tracks he’s released over the last year or so and his upcoming Zebra EP. Read on! On time this week is the latest installment in BOTW. Dope female producers can be hard to come by but here we have Chloe Martini, an up-and-coming 20 year-old producer out of Warsaw, Poland and her impressive new REBORN EP. The first track Temptation features a fresh SWV sample and has been getting it’s fair share of heat. The 4-track EP showcases the artist’s unique sound and we’re sure there is more dopeness to come from Martini. The project can be streamed below, but be sure to head over to Bandcamp to show your support where her REBORN EP is available for free (or name your price). Penthouse Penthouse, Iman Omari, Matatabi & SevnthWonder after the jump. Casey Veggies’ and Rockie Fresh’s collaborative mixtape is here after a string of teasers. Aptly titled Fresh Veggies, the project features contributions from Overdoz., Juicy J, Hit-Boy, Lunice and more. Stream some of the joints below and get the free download at LiveMixtapes. Slightly belated but here nonetheless is the 7th edition of Beats Of The Week. Soulection are back with their White Label series and this time round its the turn of Amsterdam producer Jarreau Vandal to showcase his talents. On this third White Label release, Soulection’s newest artist Vandal samples the likes of Drake, J. Cole and Alicia Keys to create a very dope 4-track EP. Read on, more from Ambassadeurs, Kaytranada, Pomo, Star Slinger and AbJo. 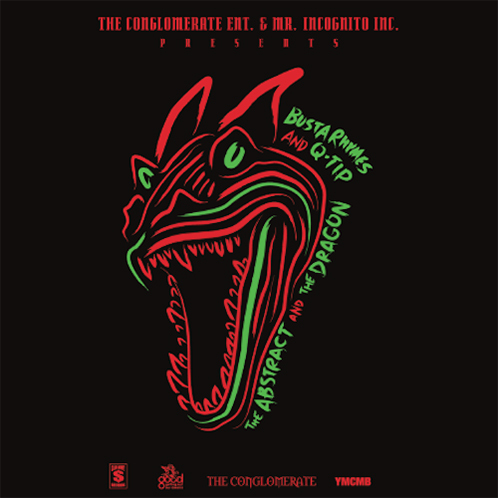 The time has finally come, as Busta Rhymes and Q-Tip unveil their eagerly-anticipated joint mixtape, The Abstract And The Dragon. The 28 track project features new songs, old joints, remixes and skits including the already released Thank You and Butch & Sundance. Don’t miss out on this release from two Hip-Hop legends (tracklist after the jump), download it at the official website . Soulection producer IAMNOBODI treats us to a new freeEP titled Needs & Wants & Bad Habits. 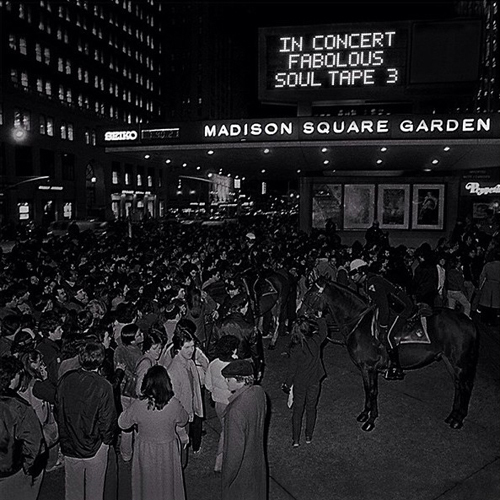 The 5-track EP showcases the artist’s unique genre-crossing sound. Stream it below and download it for free over at his Bandcamp. With his 6th studio album Mastermind being pushed back to next year, the boss Rick Ross releases a remix to No Games AND a new mixtape MMG Priorities, Vol. 1 to compensate. Check out the new track below and follow this link to get the mixtape.